Type 2 diabetes was once considered an adult-only disease. Not anymore. Every year the number of cases of type 2 diabetes in children and adolescents increases. Because kids are getting heavier and are exercising less. Obesity is becoming an epidemic. As the incidence of obesity rises, the incidence of obesity-related diseases rises. Type 2 diabetes, high blood pressure, and high cholesterol are all associated with obesity and threaten potential long-term complications. The duration of diabetes is a strong predictor of risk for developing complications. How much more likely is someone to develop complications if that person is diagnosed with type 2 diabetes at age 15 instead of age 45? No one knows for sure, but giving type 2 diabetes a 30-year head start can’t help. Fortunately, we have good studies showing that complications are preventable. We know that controlling the blood sugar, the blood pressure, and the blood cholesterol is critical in preventing complications. Appropriate education, treatment, and control must start immediately. Children who develop type 2 diabetes usually do so after age 10 or when puberty kicks in. The changing hormone levels associated with puberty cause increased insulin resistance. Who’s at Risk, and Should Be Screened? Fasting blood sugar of 126 mg/dl or higher, indicates diabetes. Nonfasting blood sugar of 200 mg/dl or higher, indicates diabetes. Dealing with type 2 diabetes can be especially challenging for an adolescent. Adolescents need support, and at the same time they struggle for independence. They want to fit in but must accept and cope with a chronic disease. Diabetes requires planning and many self-care strategies to prevent complications. Yet children live in the moment, tend to experiment, and generally feel invincible. 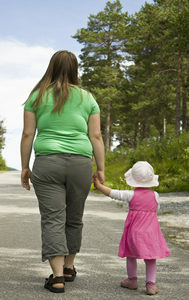 Overweight children are often teased, which can damage self-esteem. Children who have a hard time fitting in with their peers may not want to disclose that they have diabetes. Children who get chronic diseases may harbor feelings that they caused the diabetes because they did something wrong or because they were bad. Children with diabetes often experience a myriad of emotions, including anger, frustration, denial, fear, depression, and anxiety. Children need support. Seek the help of a counselor or mental health specialist who can meet with the child, as well as with other members of the family. Parents can be supportive by talking with and listening to their children. Keep the lines of communication open. Provide options to children whenever possible. For example, children have to check their blood sugar. Monitoring is not an option. But you can allow the child to choose which finger to use. Remind older children that it’s time to check the blood sugar but don’t nag. Older children may not want their parents looking over their shoulder while the blood sugar check is being performed. But parents should have access to knowing what the numbers are. Blood sugar monitors retain a record of past readings. Adolescence is a tricky time, when parents must supervise and support yet give up some of the control. Teens tend to be risk-takers and feel as if they’re indestructible. They want to fit in. They don’t want to be different and may not want their friends to know they have diabetes. Caregivers must convey the importance of diabetes self-management without using scare tactics. Don’t threaten a child with diabetes complications. Fear isn’t a good motivator and can actually leave the child feeling, “Why bother?” Children need praise and reinforcement. Use positive motivators such as allowing the child to earn a privilege for performing diabetes tasks. Let kids know that blood sugar control improves the ability to concentrate and do well in school. Well-controlled blood sugar also reduces fatigue and allows peak athletic performance. One thing has become evident to me; the kids who receive the most support and supervision tend to have the best blood sugar control. The nutritional management of diabetes involves establishing healthful eating behaviors that should last a lifetime. It’s important for parents to demonstrate healthful eating behaviors. Kids learn many eating habits from their parents. Children with diabetes should not be singled out to eat entirely different foods from the rest of the family. Don’t skip meals. Eat three meals per day (plus snacks if desired). Choose healthful, lowfat snacks. Limit junk food. Strive for five! Choose at least five servings per day from a combination of fruits and vegetables. Choose lean meats and lowfat dairy products. Limit added fats and fried foods. Try to use higher fiber and higher water content foods. Eat fewer fast food meals. Consider fast food fat food. Discourage eating out of boredom or for emotional reasons. Limit eating in front of the television. Choose diet soft drinks instead of regular sodas and sugary beverages. Don’t force kids to clean their plates! Provide healthful menu selections and let kids choose from those selections and choose how much they want to eat. Children need to learn to quit eating when they’re full, by following their appetite cues. Kids with diabetes are still kids! It’s important to incorporate favorite foods in reasonable amounts, even if those foods aren’t the most healthful choices. It’s all about moderation. If a child has a well-balanced, healthful diet most of the time, that’s what counts. There’s room to fit a candy bar or a couple of cookies into the meal plan. Besides, if you don’t negotiate the inclusion of some favored items, those items tend to get eaten anyway. The kids just don’t tell you. It’s better to fit the item in at a designated snack time or mealtime. Treats can be traded for the usual carbohydrate snacks. Forbidding treats can lead to feelings of anger and isolation. Imagine being the only child at the birthday party who is not allowed to eat cake. The psychological impact of being singled out is probably more damaging than fitting a piece of cake into the meal plan for a child with diabetes. In addition to the general dietary guidelines listed here, carbohydrate counting or the exchange system can be used to manage carbohydrate intake and distribution. A registered dietitian who is familiar with both pediatrics and diabetes can help to develop an individualized meal plan. Children must learn that having diabetes doesn’t have to be a roadblock in life. Children with diabetes can do anything, and be anything. They should be encouraged to believe that they are capable of attaining their goals. The sky is the limit.